The whole world is buzzing and is frantically waiting for the Show of Shows, WrestleMania 35. It is the premier event which showcases legendary and iconic matches, as well as marks the beginning of new chapters in WWE. A lot could happen at the PPV; some superstars will prevail while others will crash & burn. This year's Superstar Shake-Up is already confirmed by the company and is scheduled to take place on April 15 and 16 on Raw and SmackDown, respectively, and will air live from Montreal, Canada on the weeks following WrestleMania 35. A lot can happen before, during and after WrestleMania, as WWE is known for surprising its fans. Sami Zayn has been inactive for a while now after he was diagnosed with an injury to his shoulders. He feuded with Bobby Lashley and the two had a match at Money in the Bank last year. According to reports, Zayn showed up at WWE's Performance Centre back in January where he is working on returning to full-time action. His friend and partner Kevin Owens returned to Smackdown Live as a face before Fastlane and we could see Zayn do the same thing after WrestleMania. 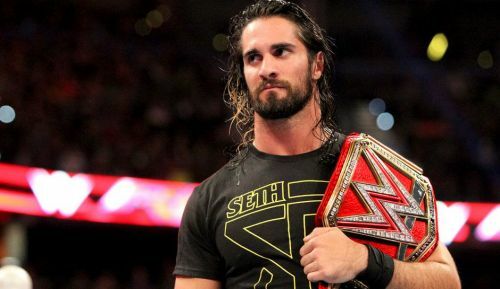 It's likely that he could also return to the blue brand and realign himself with Kevin Owens once again. Another man who's currently off WWE TV is Luke Harper. Harper is also on hiatus due to injury and he could very well be on his way back very soon. Perhaps he could join Daniel Bryan and Erick Rowan's heel alliance on Smackdown. Whatever it may be, both Zayn and Harper must return immediately following WrestleMania.